Zippo Polar Bear With Cubs Lighter | BUDK.com - Knives & Swords At The Lowest Prices! Zippo's Outdoors Collection introduces brand new patterns designed for the outdoorsmen. 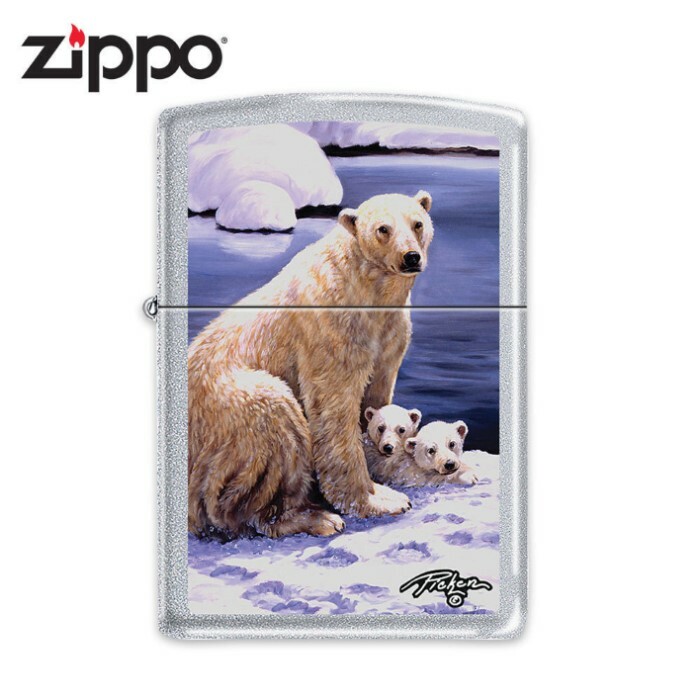 This genuine Zippo windproof lighter features the artwork of Linda Pickens depicting a Polar Bear with her cubs on a satin-chrome finished lighter. Backed by Zippo's lifetime warranty and made right here in the U.S.A.